On January 10, 2019, after prayerful consideration and deliberation, the Anglican Church in North America’s College of Bishops consented to the election of the Rev. Andrew Williams as the next bishop for the Anglican Diocese of New England. Williams was elected by the diocesan synod on November 17, 2018. Williams is set to be consecrated on March 16, 2019 as the successor to the Rt. Rev. William Murdoch who has served as the diocesan bishop since its founding in 2008. Murdoch will retire in late spring after ensuring the smooth transition of leadership to Williams. Williams is originally from the United Kingdom where he was a legal malpractice defense attorney before discerning a call to ministry and attending Trinity College, Bristol. He was ordained in 2000 in the Diocese of Exeter, served in a congregation in Southwest England, then spent a 6-year period as Associate Vicar of St. Andrew’s, Chorleywood just outside of London. 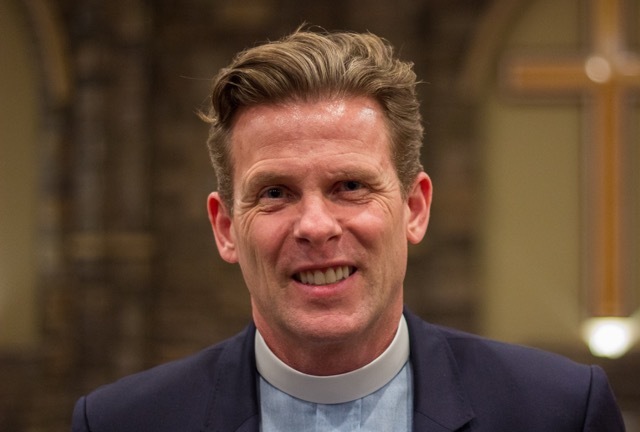 In 2009, Williams moved to the United States to become Senior Pastor of Trinity Church, Greenwich, Connecticut. Williams, his wife, Elena, and their three daughters will be moving to the Boston area to be in proximity to the diocesan Cathedral. “I feel enormously privileged and blessed to be called into the miracle that is the Anglican Church in North America. I have witnessed this week the most extraordinary, exemplary Christian leaders who are making, and are poised to make, historic Kingdom impact for this century and beyond. I am tremendously humbled and very excited to serve in every way I can,” Williams said.